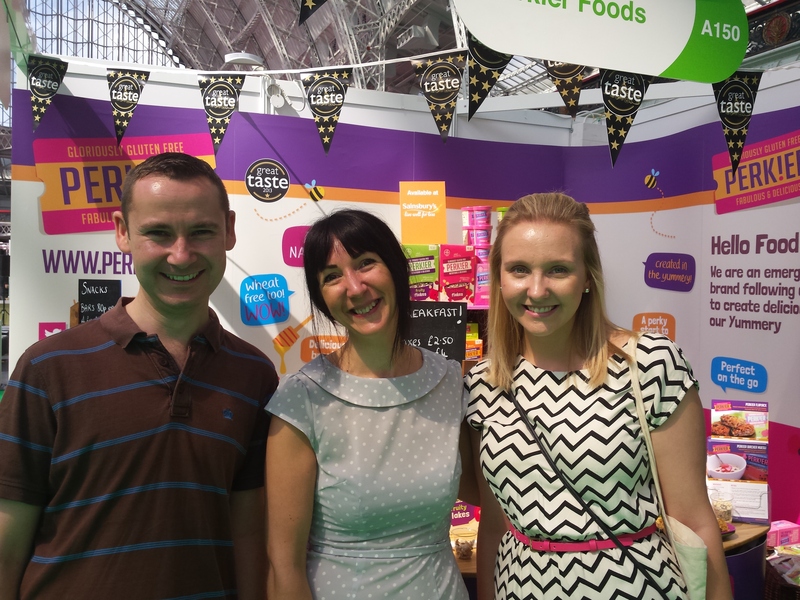 I first came across Tideford Organics at the Allergy and Free From Show in 2013. 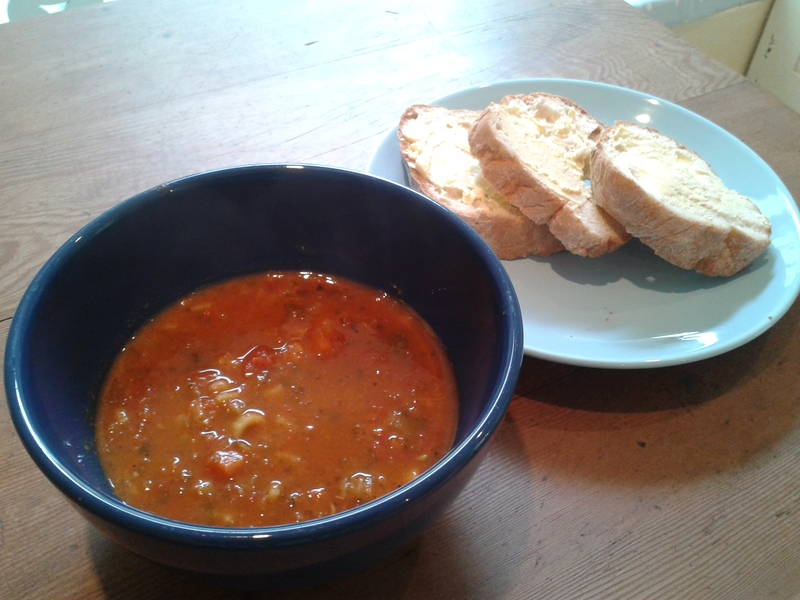 When eating so many sweet things at the show, I often find that it’s a savoury item that sticks in the memory, and Tideford’s minestrone soup was definitely one of my highlights. 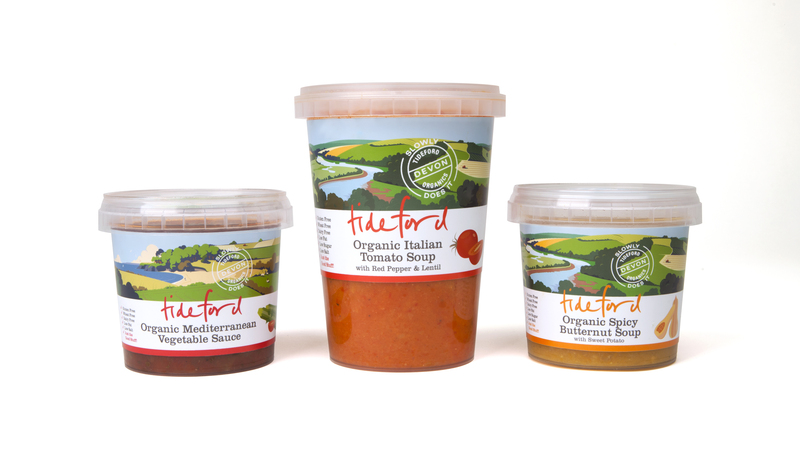 The fact Tideford Organics are based in my home county of Devon meant I definitely needed to find out more about this company. 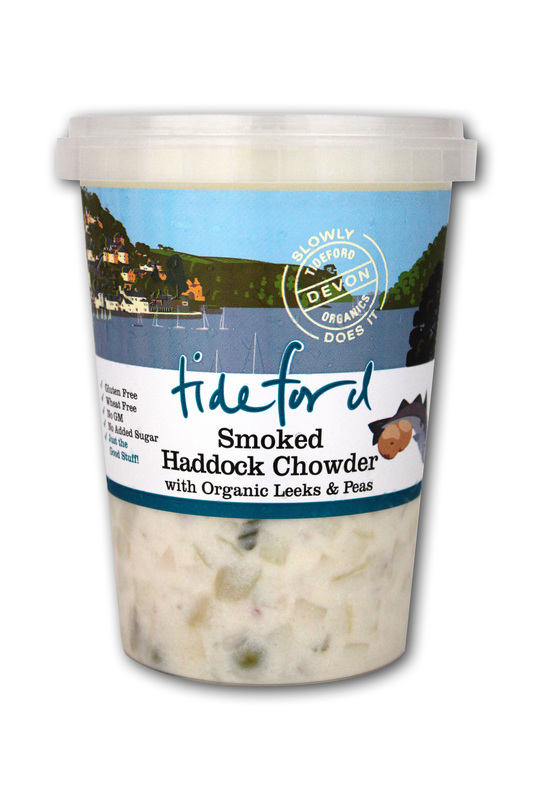 Tideford have been making their products since 1996, using only organic ingredients, and are produced in their kitchen in Totnes. After contacting Tideford to introduce myself and try to find a local supplier, I was lucky enough to be sent a great range of samples. 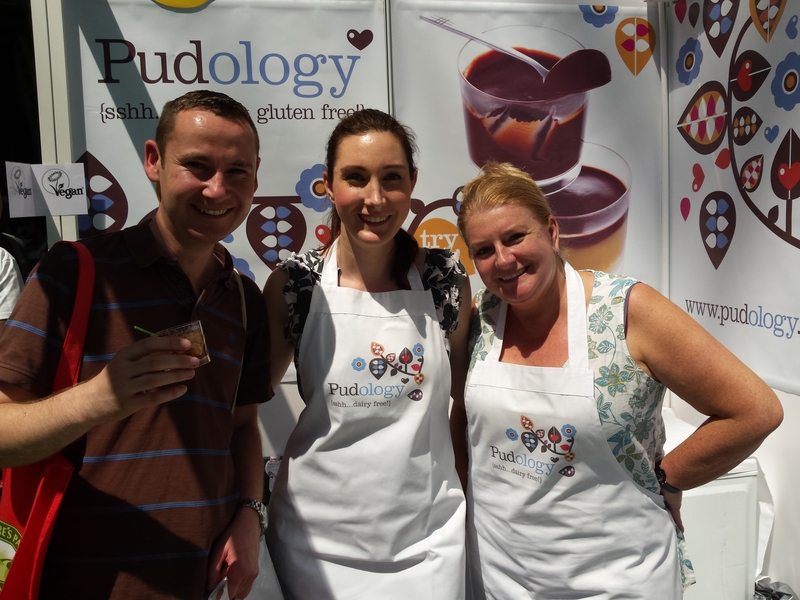 All of the Tideford products are gluten free with the exception of the porridges. The rest of the range includes soups, sauces, pestos and puddings. My sample box included a variety of soups, some salsa and some pesto. 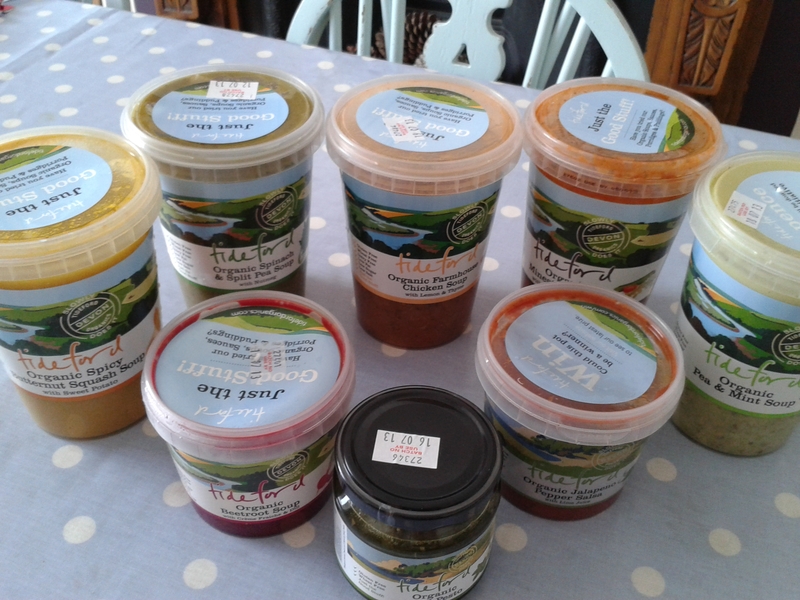 As luck would have it, the arrival of these soups coincided with St Maurice Bakery starting to bake fresh gluten free bread in their bakery in Plympton, Plymouth. 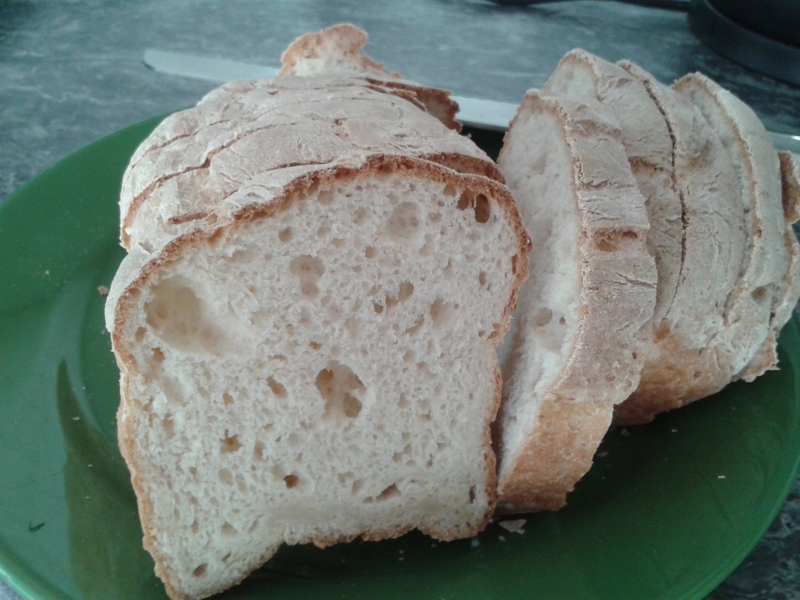 This made a fantastic partner to the soups and is now available to buy fresh every Saturday. As for the soups themselves both my wife and I really enjoyed these. 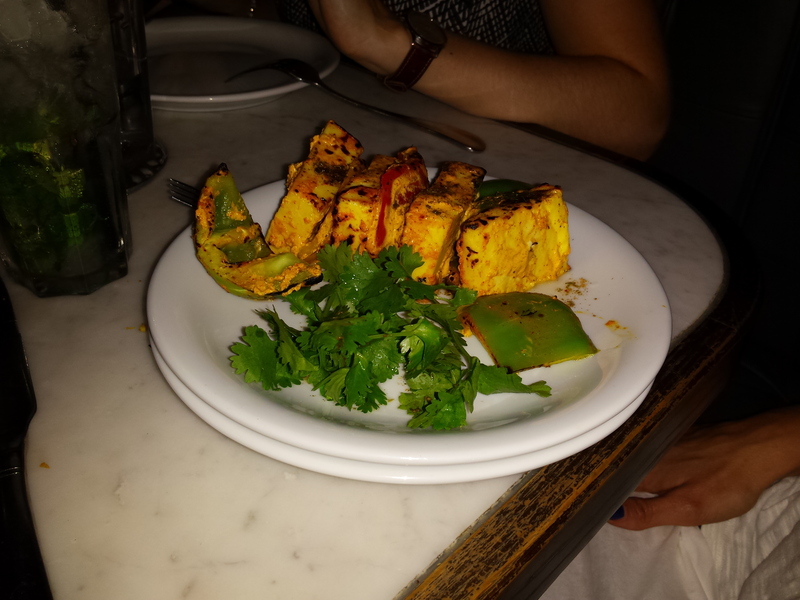 They were packed with flavour and contained nice chunky vegetables. My personal favourites were the minestrone and the farmhouse chicken, closely followed by the pea and mint which was Abby’s favourite. The salsa was tasty and went well with some beef tacos (and of course a side of Abby’s famous refried beans). The pesto was our least favourite product. 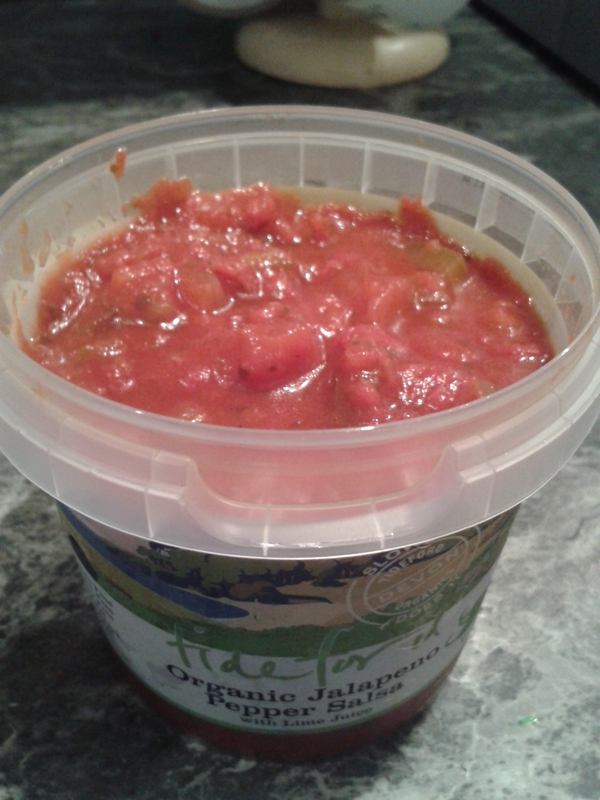 We used it as a pasta sauce and I found it a little too oily, but it also tasted quite dry. 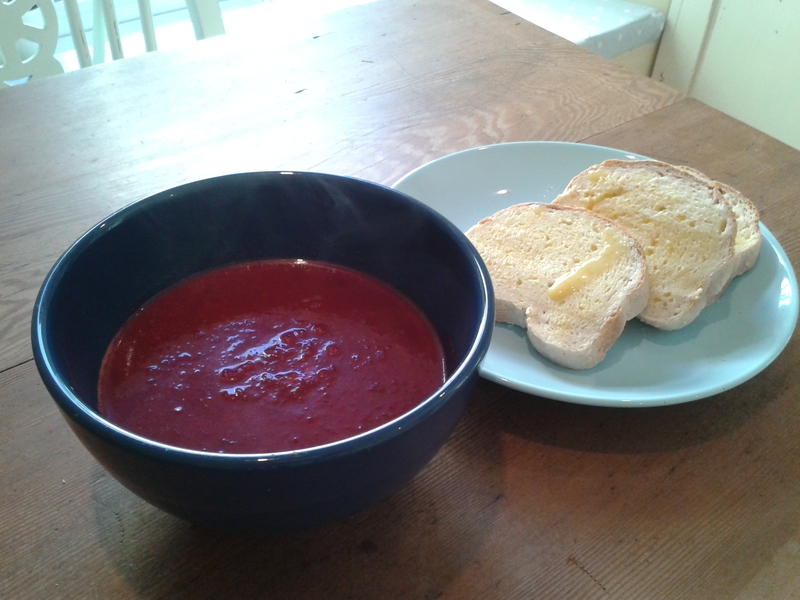 The flavour was good though and overall it was OK, just not something that was up there with the quality of the soups. Abby was really not keen on this one, mainly as she found it too oily. I’ve since spoken to Tideford about this and they’ve suggested the pesto needs stirring well before use, as it can separate due them not using any potato or corn starch to prevent this as other pestos do, preferring to keep more natural ingredients. 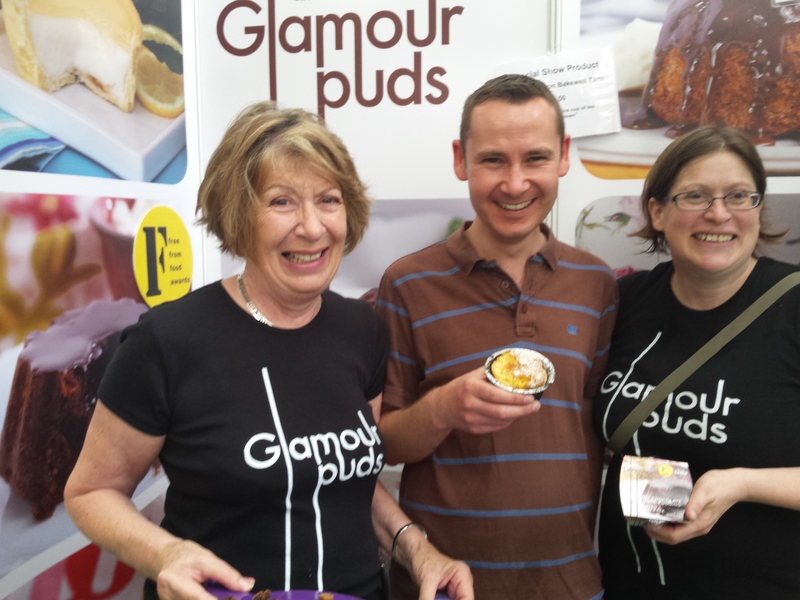 I was lucky enough to run into Tideford Organics at the Flavour Fest that took place in Plymouth during August. It was a good chance to stock up on some more soup, and I also grabbed some of their rice pudding which I’d not tried before. Rice pudding is one of those things that never sounds appealing, but every time I eat it I really enjoy it. 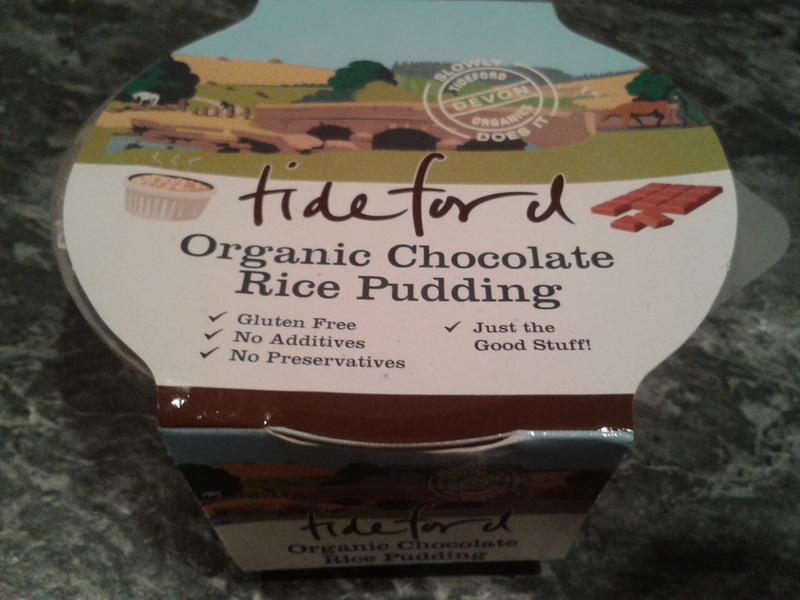 What I’d never tried before was flavoured rice pudding, and I have to say I really enjoyed the Tideford puddings. I tried chocolate which was really nice, but my favourite was the butterscotch which was absolutely delicious and I would definitely buy again. 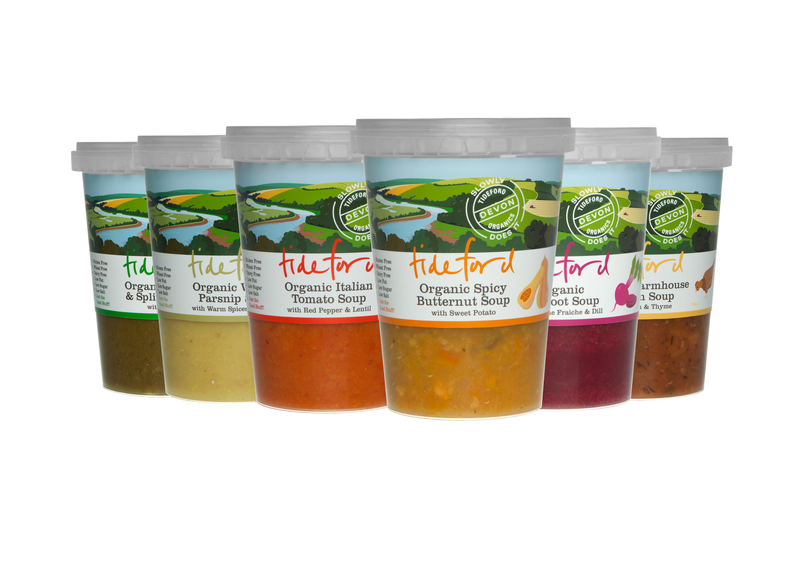 I have seen some of the soups and sauces available to buy in both Tesco and Waitrose, but please let me know if you know of any other Plymouth stockists. The good news is that Gluten Free by the Sea has teamed up with Tideford Organics to bring you a chance to win some of these delicious goodies! One lucky winner will win two 600g soups, two 300g soups, 2 sauces and two rice puddings. All you have to do is visit the Gluten Free by the Sea Facebook page and enter via the Tideford Giveway app or by following this link: https://www.facebook.com/gfreebythesea/app_228910107186452 To enter you must either like the Tideford Organics Facebook page or follow them on Twitter, and confirm this via the app. The competition will run until midnight on 28th February and the lucky winner will be chosen at random by Rafflecopter which I am using to host the giveaway. Your details will then by passed to Tideford Organics who will send the prize to the winner directly. Please note this competition is open to UK residents only. This promotion is in no way sponsored, endorsed or administered by, or associated with, Facebook. We hereby release Facebook of any liability. Winner will be contacted by email after the giveaway ends. Good luck! UPDATE 01/03/2014: The competition has now closed. Congratulations to winner Emma Louise Hutchinson!